Our Boule range has a French inspiration. Each Boule has an unique twist of flavour and texture. They also have added PEA PROTEIN. Ingredients: Water, Gram Flour, White & Brown Rice Flour, Potato Starch, Golden Linseed, Cold Pressed Rapeseed Oil, Stabiliser: Xanthan Gum, Raising Agent: Yeast, Cocoa Powder, Fennel Seeds, Caraway Seed, Psyllium Husk, Unrefined Sugar, Sea Salt. Craft boule produced in the Incredible Bakery in Warkton, Northamptonshire that has no contact with any of the 14 common food allergens defined by EC Regulations. 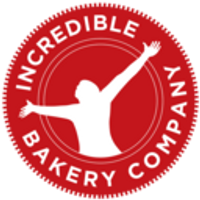 All Incredible Bakery Company products are gluten free, dairy free, egg free, soya free and vegan.